Almost, every industry is shifting to this www world. So, it’s high time that you make your own website too by using our handpicked best shop WordPress themes. With WordPress, tech knowledge is not mandatory for developing and maintaining your website. So, you can grow your business globally with ease. In our handpicked WordPress themes you’ll find functionalities like WooCommerce through which you can sell your products online. Further, you will find a beautiful layout which will grab the eyeballs of the visitors. Also with sliders and blogs, you can present your products and services better than ever. And yes, with all these functionalities, you can develop a fully equipped website in no time. So, you can stay assured that we have got nothing but the best for you. However, if you would have manually searched the best themes to create a website which enhances the beauty and functionality then it would have been a time-taking and complex process for you. Now, you don’t worry about this because we have done all your work. So, here we are listing best shop WordPress themes. Select the one which suits your taste and needs. 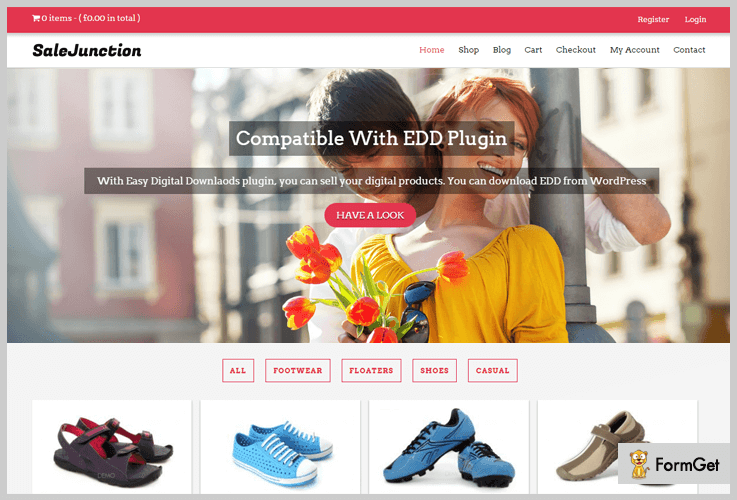 If you are planning to make an E-commerce website then SaleJunction WordPress theme is made for you. This theme gives you the power of growing your business globally. SaleJunction comes with a fully responsive layout which means it fits in the screen of any device. Also, it is integrated with WooCommerce Plugin by which you can create the products online and people can add them to the cart to purchase. Pay Only $97 to and get this wonderful fully Responsive Shop WordPress Theme. It’s capable of selling tangible or digital products both. SaleJunction is popular for its design and elegant typography. Comes with Blog Feature in homepage. SaleJunction also integrated with WooCommerce. Online payments are made easy by PayPal payment gateway. 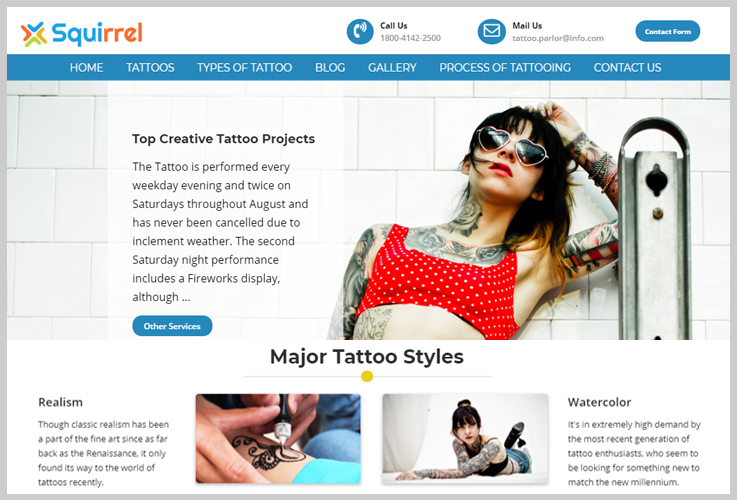 Squirrel is the best template for services like a hair salon, tattoo shop, and practically anything. This theme comes with the feature of a fully responsive template which will give more reach to your website. This powerful theme gives you a beautiful layout homepage which also helps in growing your business. Finally, Squirrel Theme is integrated with WooCommerce by this you can just make an e-commerce site in a single click. Pay only $59 and enjoy the powerful Squirrel WordPress theme and give your business new height. Comes with a Tap to Call and Email button in the header. It also has numerous colors. Integrated with PayPal payment gateway for online payments. 3 – 5 column widgetized footer area. 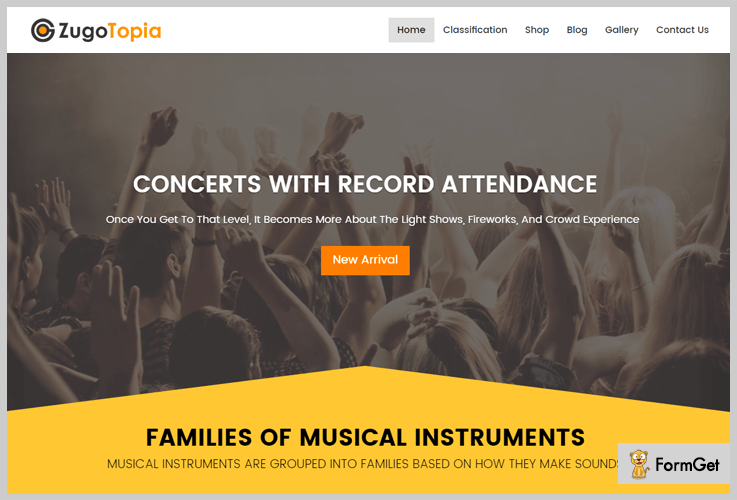 Zugotopia is a multi-vendor & responsive WordPress theme which gives the power of making different types of websites like corporate sites, commercial & marketing sites. It is created with the inbuilt multi-vendor plugin to add multiple vendors in your websites, means you can accommodate the products of those who don’t have an e-commerce of their own. In other words, if anyone doesn’t have an e-commerce site for selling their products, they will have the option of submitting products to your e-commerce site with your permission. This template is specially created in a style which grabs the attention of visitor in a single glance. You can display the product on the homepage in a sliding manner which creates an attractive look. Pay only $97 for the full lifetime access of this powerful theme. It has a widgetized sidebar footer where you can add elements like the search bar, videos and more. Also, it has 4-column featured area to highlight your services in the best manner. Finally, it has also got a testimonial section where you can let the visitors know what people say about you. VendorPro is a plugin which allows the multiple vendors to feature and sell their product with your site and admin can take some predefined commission to the vendors. With the help of this VendorPro plugin, you can increase the site visitors to your sites. You can also maintain the sales figure with the help of VendorPro plugin. Further, you can export the required data for documenting sales figures. Also, VendorPro plugin provides the function of giving the right to the admin of displaying and removing the products of vendors and creating blog post etc. Paying $97 only will make your site a powerful multi-vendor E-commerce website. VenderPro gives shortcodes to application forms, sale log etc. Admin can grant the various rights to the vendor like order management, hide published products. Helps in creating profits for both i.e admin and vendor. Easy for calculating vendor’s commission. Admin has the option of Enables cart restrictions. So these WordPress themes are our suggestions for you. I think this blog will definitely help you to create a website for your business. You can definitely trust our picks as we have tried and tested those themes and plugins personally before recommending it to you. We appreciate your suggestion related to this blog, so feel free to comment us below. Also, if you know some themes and plugins which will fit in the listing then please share your views in the comment section below. We would be more than happy to hear from your side.